Today marks the end of the first fortnight of Full Tilt Poker’s second life. For the most part, player response to “Full Tilt 2.0” has been positive; since the software is the same, gameplay is largely identical to what it once was and though there have been complaints about the new loyalty program and customer service, none of that is really much different than before. And like before, Full Tilt finds itself settled into the second spot in the online poker traffic rankings. According to PokerScout.com, Full Tilt Poker has drawn a seven day average of 6,700 cash game players with a peak of 11,202 in the last 24 hours. That puts it miles behind its now sister site, PokerStars, which has a seven day average of 22,000, but that essentially mirrors the situation from before Full Tilt shut down. Full Tilt is comfortably ahead of both the iPoker Network (2,750) and PartyPoker (2,600) and unless there is another big scandal, one would expect that gap to remain for quite some time. As one might expect, the 6,700 figure is much lower than it was on re-launch day. 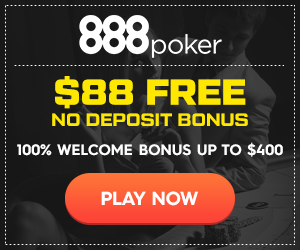 PokerScout’s count had Full Tilt Poker at an average of 8,900 cash game players on the first full day of play, a number which dropped to 8,000 by the end of the first week. The mid-6000’s figure where Full Tilt is at right now seems to be a settling point. From PokerScout’s experience, whenever an online poker room gets a traffic boost because of a big promotion, “the phase of settling down to a new normal has often been completed in three to four weeks,” so Full Tilt’s regular level should be seen soon. Full Tilt may be siphoning players from other sites as people continue to check out the old internet poker super power. PokerStars saw its traffic fall 2 percent last week (it was the hardest hit on a percentage basis from Full Tilt’s rebirth, so that 2 percent is a good sign for the industry leader), while iPoker lost 7 percent and PartyPoker dropped 6 percent. Interestingly, in last week’s online poker traffic update, PokerScout said that it did not look like the majority of Full Tilt’s players who hit the tables after the re-launch were migrations from its competitors. The top five sites other than Full Tilt saw their cash game traffic fall by an average of 5 percent, or about 2,000 players across all five sites. As Full Tilt averaged 8,500 players over the first few days, that means that most of its players came from somewhere else. That somewhere else, according to PokerScout, was hibernation. The site concluded that much of Full Tilt’s traffic was the result of players simply coming back to online poker after a long hiatus (perhaps because they could finally logon and get their long lost Full Tilt Poker funds). PokerScout estimates that 400,000 unique online poker players were added to the market when Full Tilt rose from the ashes. Though Full Tilt Poker’s return has certainly bolstered industry numbers, online poker traffic is still down 2 percent year-over-year.